The Raspberry Pi, a credit card-sized computer designed for tinkerers, has sold an impressive one million units since it's launch last year, the foundation detailed this weekend. 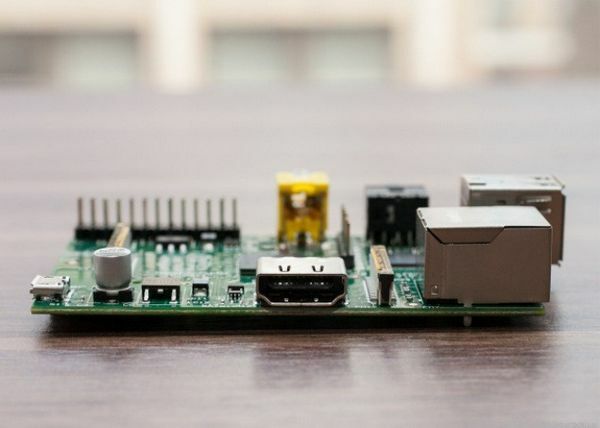 Developed in the UK by the Raspberry Pi Foundation, and launched in late-February at RS Components and Premier Farnell computer shops, the Raspberry Pi went quickly, selling out within minutes. Priced at under £22, the tiny computer has proved a fun project for household hacks and small computing tasks. The ARM-based PC features a HMDI socket, a video output, two USB ports, Ethernet, audio output, and SD card slot. Power is provided either by a battery or a standard mobile phone charger. The PC's focus on getting people programming looks to be well on its way to being accomplished, according to the numbers just released. 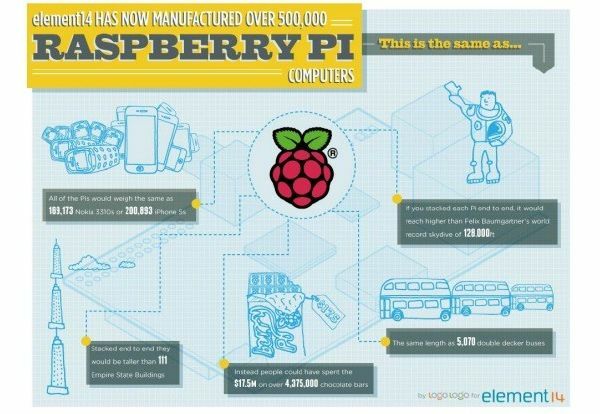 The cute infographic below details that all of the Raspberry Pis sold weigh the same as 200,000 iPhone 5s, and stacked end to end would be taller than 111 Empire State Buildings.